Teachers may use the video library flexibly as they select and view the modules. Groups of educators may wish to view modules together and discuss implications for teaching practices. RRCNA members can earn contact hour credit for viewing these and other professional development videos in the e-Learning Center. The teacher sets up fail-safe situations in which each child can initiate successful activity —working out some possibilities, discovering things for himself, extending his problem-solving skills, and enjoying the challenge that is within reach. Only when the task is within their control can children take on new learning with success and enthusiasm. Being in control is important at every point in a child’s learning. Teachers who know what a child controls can call for the child to initiate and carry out actions on his own — building independent learning from the very beginning. A 2-page reference guide accompanies this video and includes the module focus, definitions and other important information, key points for teachers, and resources. Reading the reference guide prior to viewing the video will enhance your learning experience. If you have trouble viewing the reference guide, you may need to download the latest update for Adobe Reader. Effective teachers provide massive opportunities for children to successfully read and write texts within their reach so they will build up the networks in their brain to pick up information, work on that information, make decisions, and evaluate their responses. They prompt children to use information to solve problems as they read. It is important to check for evidence of strategic activities with individual children. With running records of text reading, teachers can record and analyze reading behaviors and monitor progress over time. It’s not just about accurate reading. It’s more about how children are learning to recognize and solve problems. The texts that teachers select should be ‘just right’ for children. They should be interesting and offer an appropriate level of challenge — not too easy and not too hard. Texts should be within each child’s control and encourage successful problem solving. 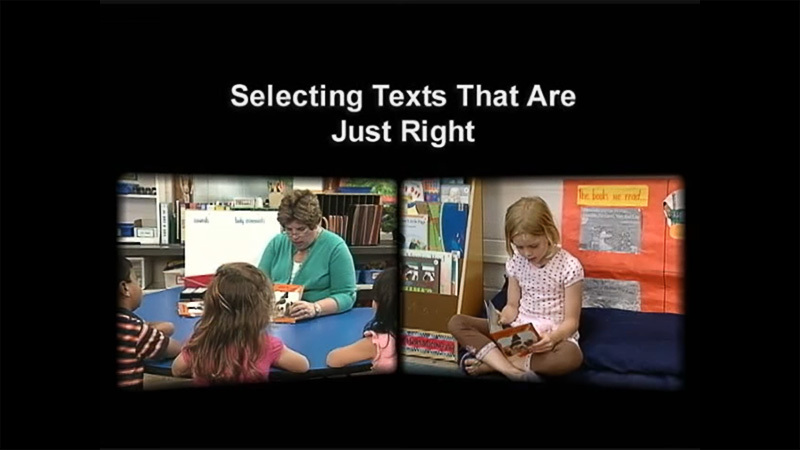 After carefully selecting an appropriate text, effective teachers think about the best way to help children orient themselves to this particular text. Introductions will vary according to the text itself and the knowledge the children bring to the text. The ultimate goal is for children to learn how to take over the responsibility for orienting themselves to new texts as they enjoy becoming successful and independent readers. 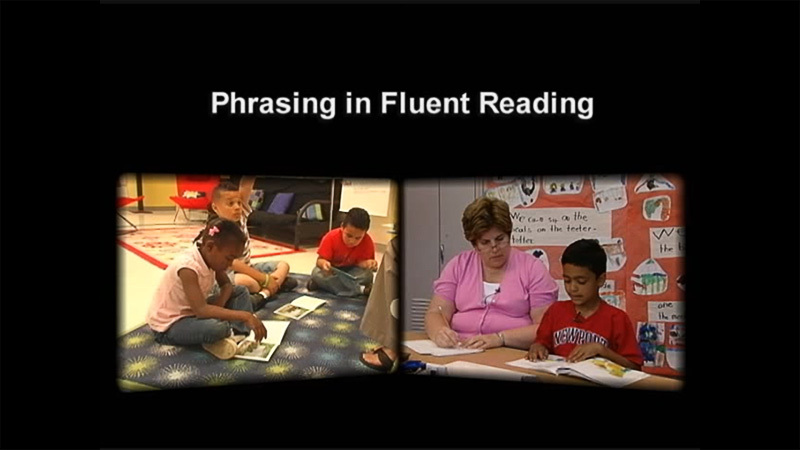 Reading with phrasing in fluent reading allows children to use meaning and structure sources of information to support the use of visual information, thus helping them problem solve as they read text. It also involves putting together all sources of information — meaning, language structures, and print knowledge — in an integrated and flexible manner to support the comprehension of text. When this happens, phrased and fluent reading is not simply a product of reading, but a major contributor to reading proficiency. To monitor a child’s progress, teachers can record how the child’s reading sounded on the running record form. Did the reading sound like talking? Is the reader learning how to pause appropriately, read in phrases, and use punctuation, pitch, and stress to get the message? And are these behaviors flexible and changing over time? To ensure progress in reading and writing, teachers must take time to observe what children are able to do. Running records of text reading and other Observation Survey tasks are standard and neutral observation tasks that require skilled teachers who have been trained to administer, score, and interpret results in reliable ways. Resources cited below include information about a learning package for teachers who want to learn to administer, analyze, and use running record data to make teaching decisions. Effective teachers also find opportunities to observe throughout the school day to get rich information about each child’s literacy development — and to use that information to plan teaching moves. And children will be the beneficiaries of differentiated instruction based on observation — as they enjoy success in learning to read and write. Through reading and writing continuous text, children learn about sound-symbol relationships, they take on known reading and writing vocabularies, and they can use what they know about words to generate new learning. There is no sequence for this learning—rather the child’s skills determine the sequence. Teacher guidance supports this learning, but the goal is for children to take the initiative to continue to learn on their own —and to enjoy discovering new things about their language. This video library offers extensive examples to help educators strengthen early literacy outcomes for K-3 students. Six effective literacy practices are highlighted to deepen teachers’ understandings of literacy learning. The practices may be incorporated into teaching in the classroom, small groups, and one-on-one instruction. The web-based modules, listed and linked at the bottom of this page, consist of a short video and a downloadable reference guide. K-3 classroom teachers, Reading Recovery teachers, specialist teachers, literacy coaches, and school administrators who wish to develop a deeper understanding of effective literacy practices. Each module highlights one literacy practice and consists of a short video (approximately 7 minutes) and a downloadable 2-page reference guide. The guide includes the module focus, definitions and other important information, key points for teachers, and resources. Reading the reference guide prior to viewing the video will enhance your learning experience.